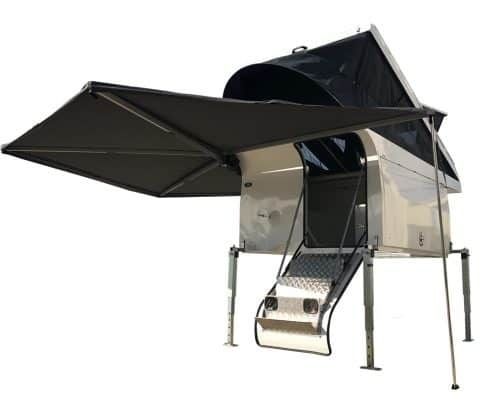 The curved design improves access without compromising the lightweight, compact and aerodynamic profile. 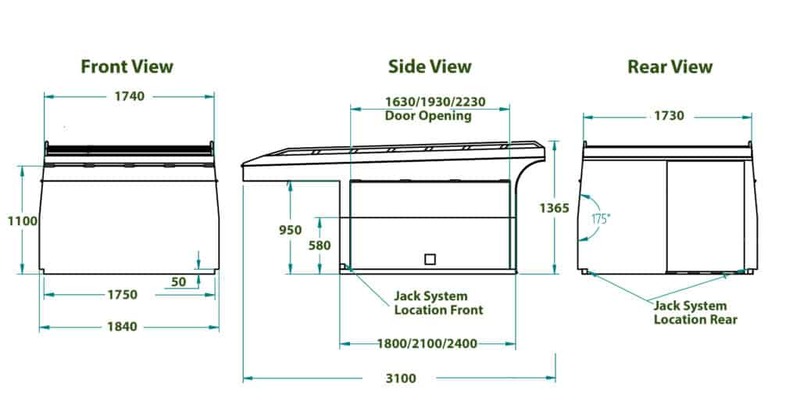 The TTC has a 950mm headboard clearance. 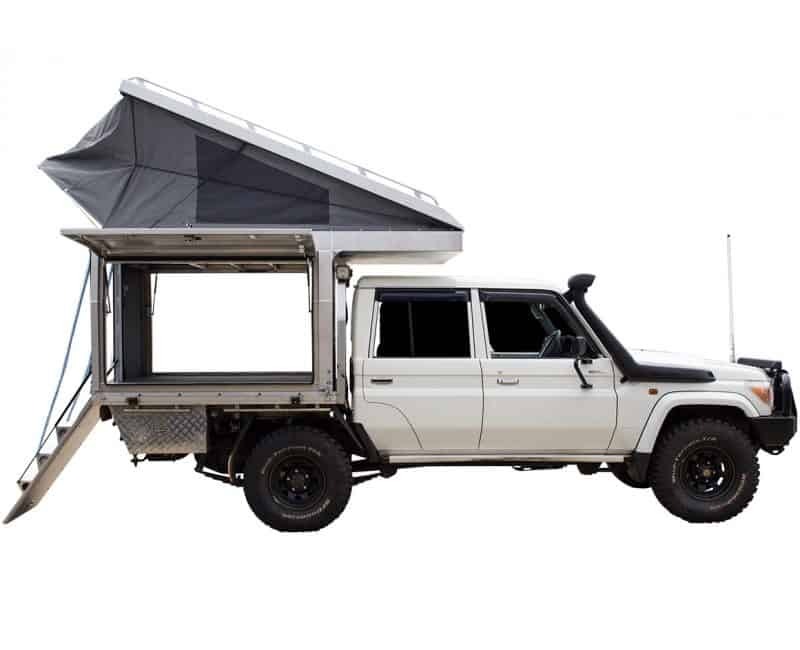 The standard camper includes all the fundaments required for your next camping expedition. 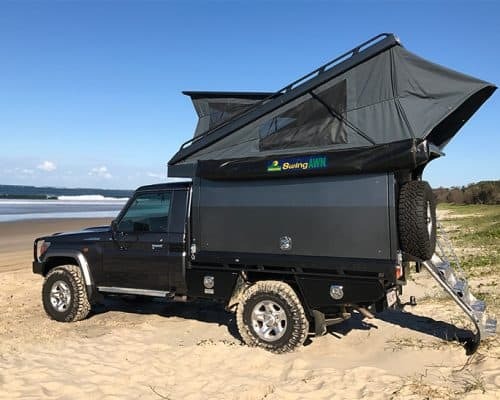 The addition of the X- Roof makes a great camper even better. 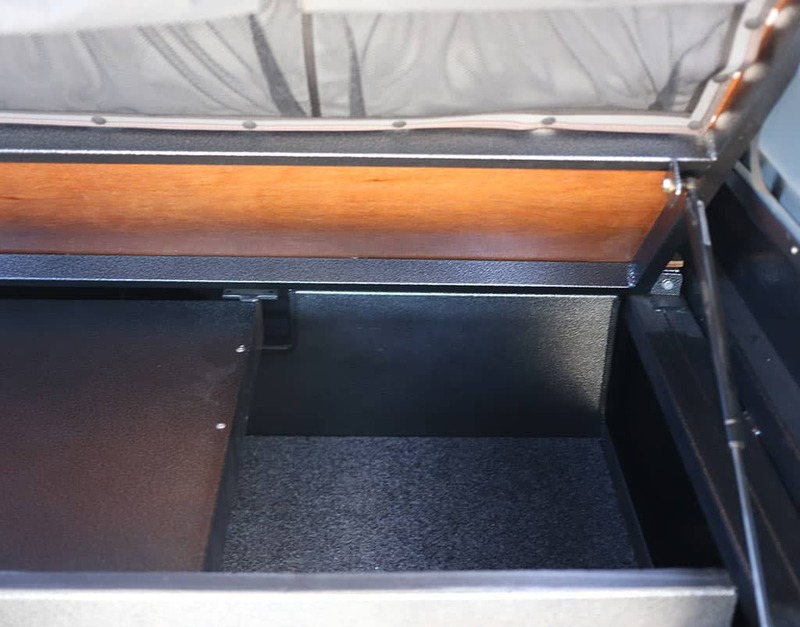 The internal fit-out encourages optimal weight distribution by strategically locating heavier items such as fridge/slides above or in front of the rear axle. 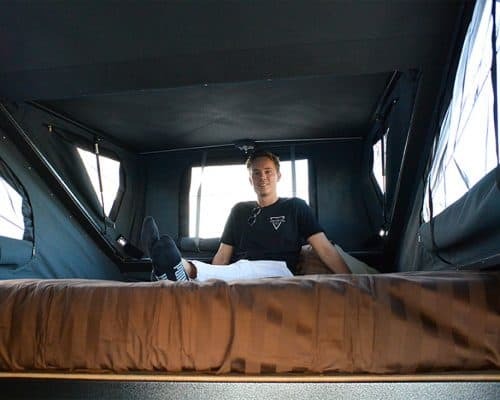 Correct weight distribution creates a more comfortable touring experience on and off-road and reduces stress to your vehicle. 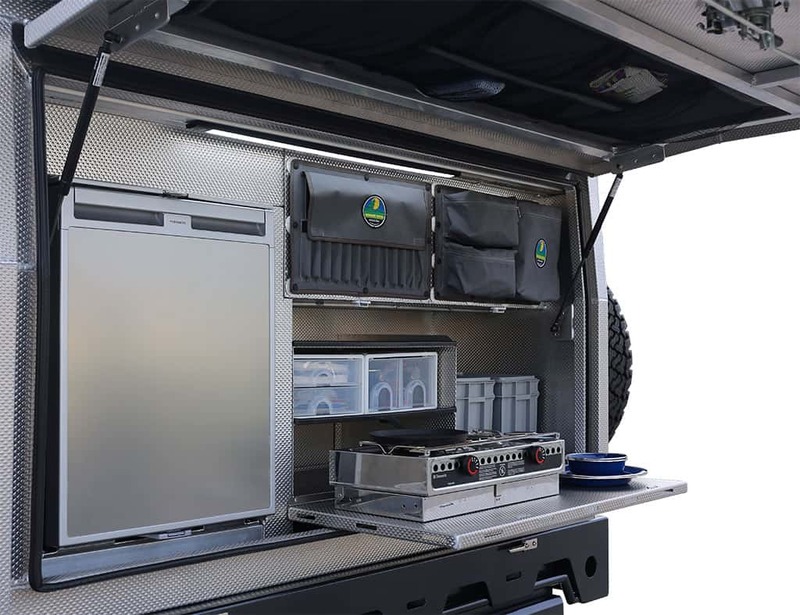 The internal layout is designed to have high access, strategic light-weight storage for all your camping and cooking essentials. The sliding dining table can comfortably accommodate two adults. 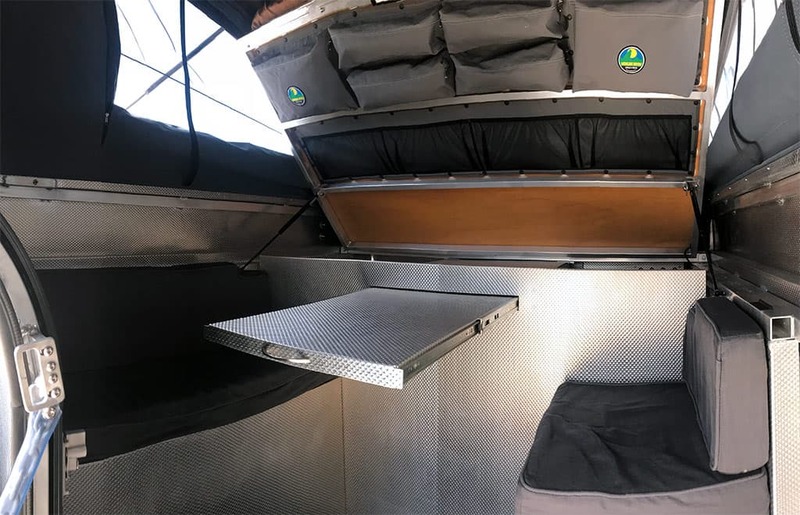 The internal fit-out is a universal design that fits all models of campers and sizes. 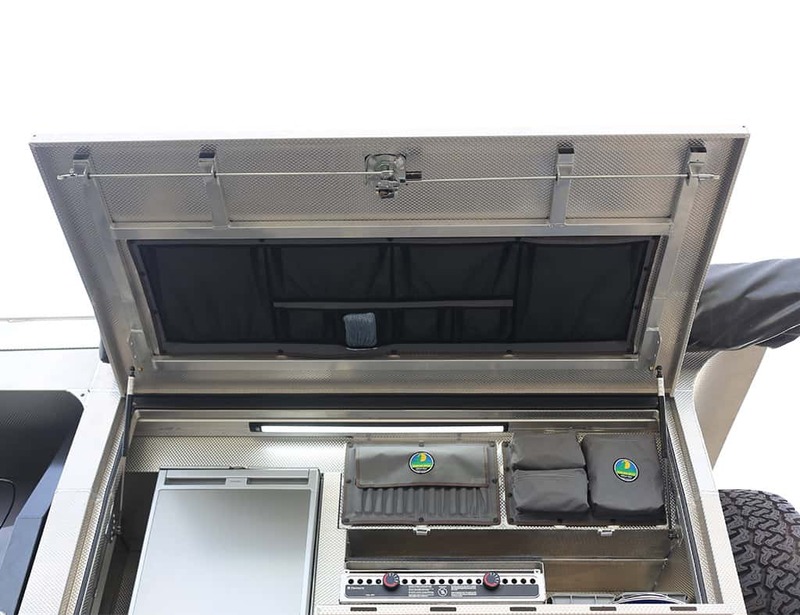 This layout is displayed on a DUAL CAB unit however also fits SPACE cab and SINGLE cab vehicles. 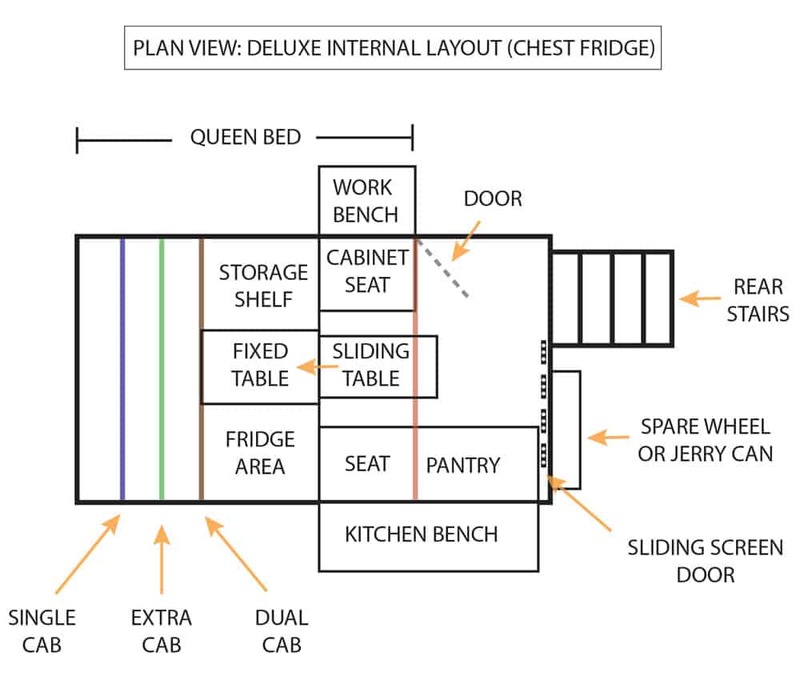 The Drop Down kitchen bench top has plenty of space for food prep and cooking appliances. The table has a series of laser cut holes along the rails which is ideal for hanging cooking implements. 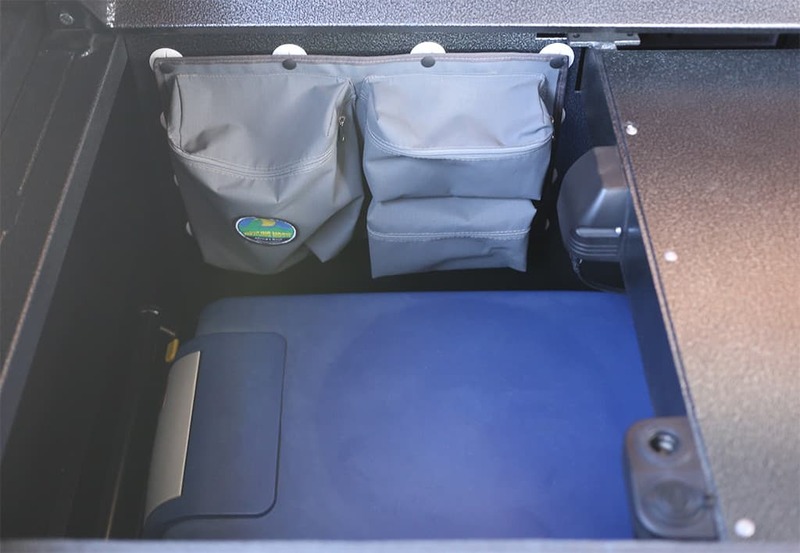 Customers often add plastic storage containers to create a lightweight organisation system. The shelf positioned above the table is the ideal location for a cooktop. 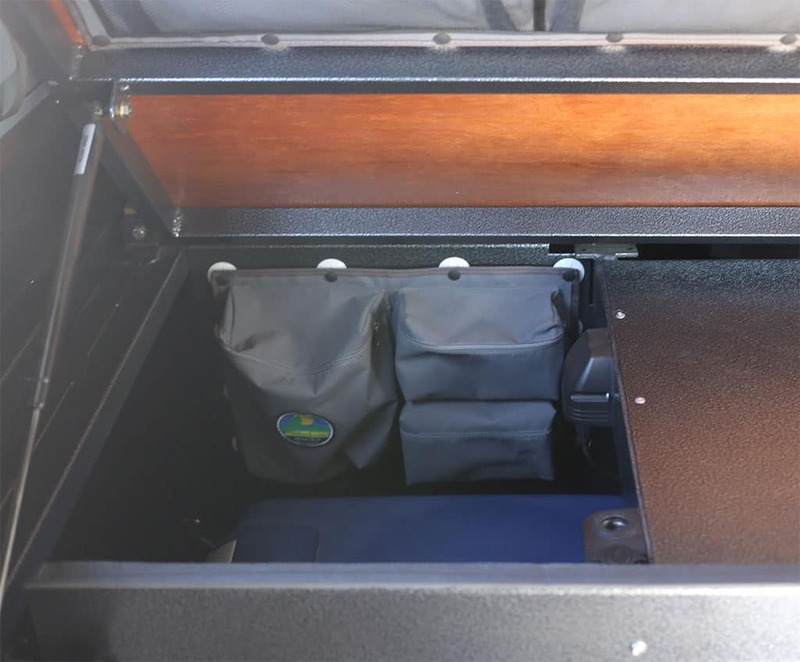 CRX 80 Dometic Upright Fridge (78L): This price includes the fabrication of parts and components required to securely install the fridge in the camper. 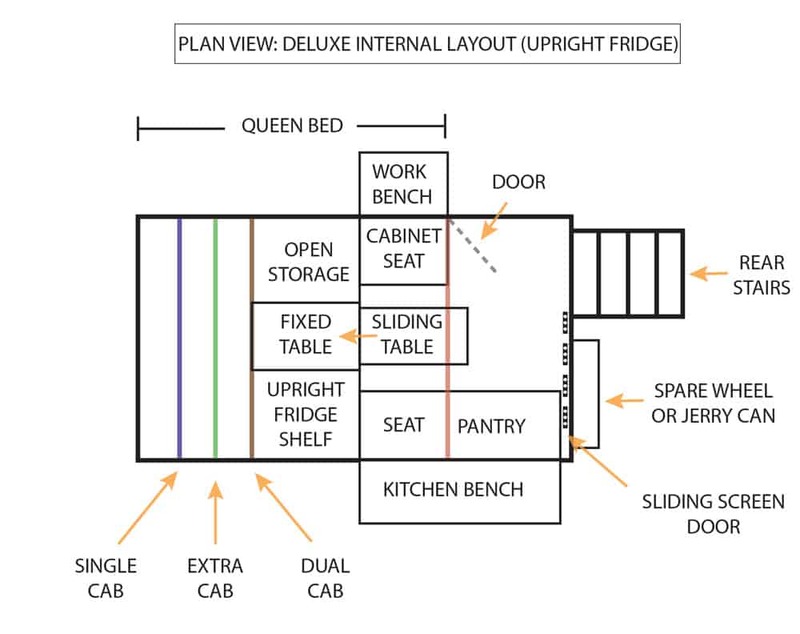 This fridge cannot be purchased independently from the Deluxe Internal Design. Upright Fridges are an excellent way to shed unwanted weight and save money since a drop down fridge slide is not required for access. Please Note: The ES 220+ Fridge Slide is not compatible with the Deluxe Internal Fitout for Dual Cab Models. Swings out 270° around the vehicle. Self-supporting in most weather conditions. 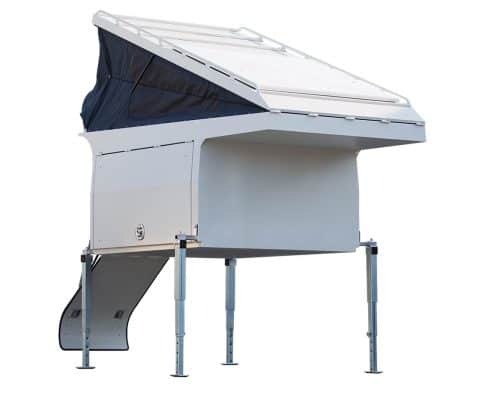 Drop-down telescopic legs to bolster it in strong winds. 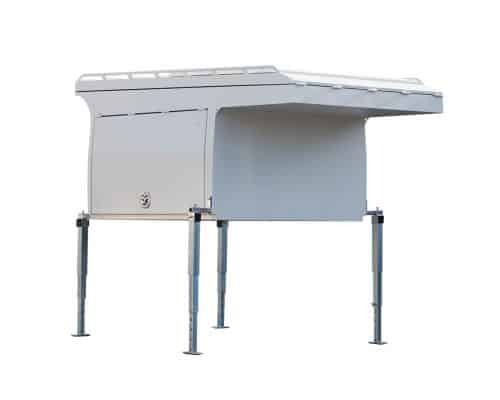 UV-resistant, waterproof and surface-proofed with Fluorocarbon to facilitate soil release and rapid drying. 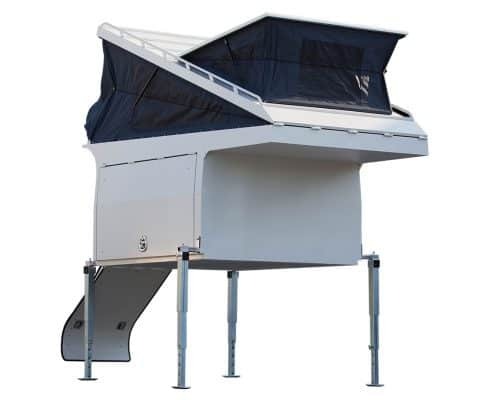 Unique built-in mooring straps create outstanding water run-off. Packaged in a waterproof, dust-proof exterior PVC bag with zip opening. 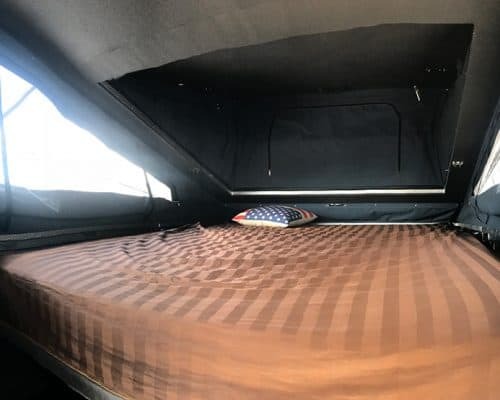 The standard camper is supplied as an open unit, however, all the hard work has been completed and is ready and waiting to be fitted out. 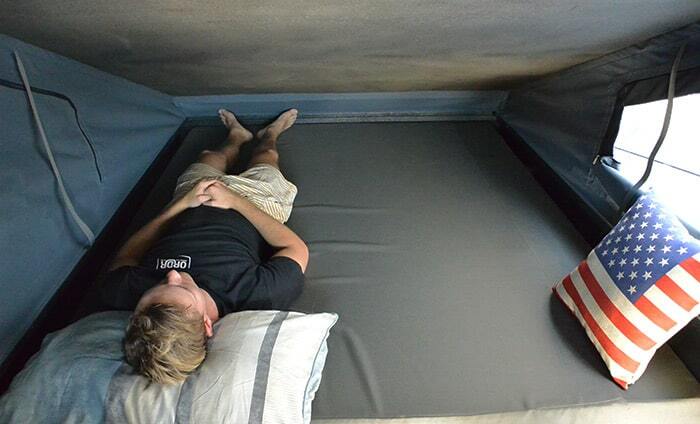 A number of optional features can also be arranged for your convenience. 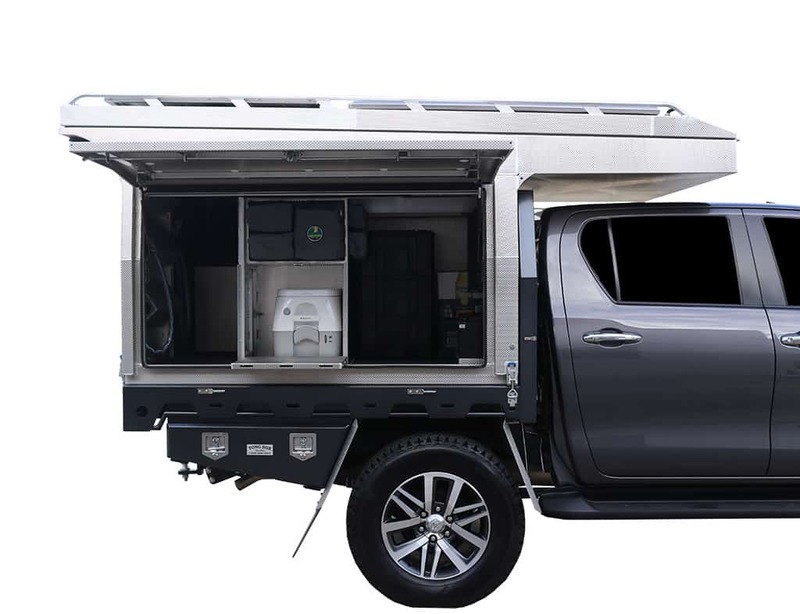 Please check the Optional Extras link on the Camper Models Page for pricing of all the optional features available. 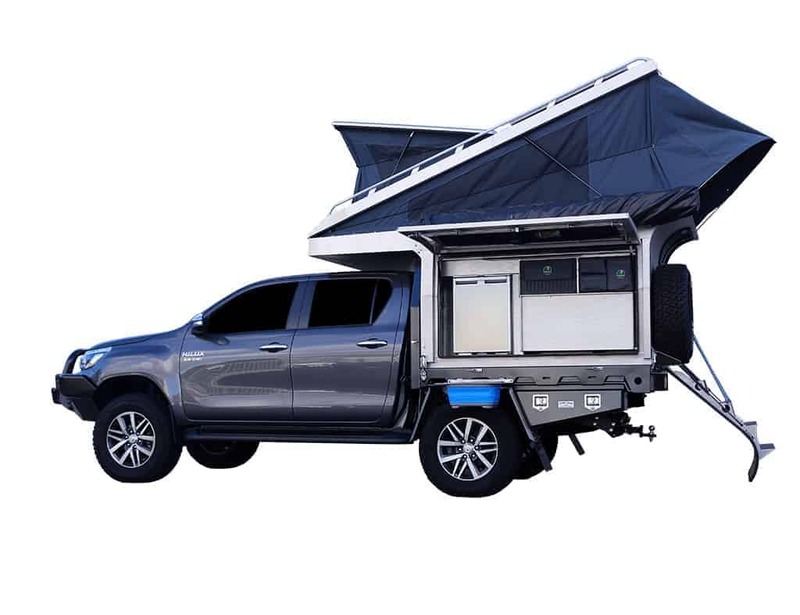 Tong campers are designed with dedicated touring and 4×4 enthusiast in mind. 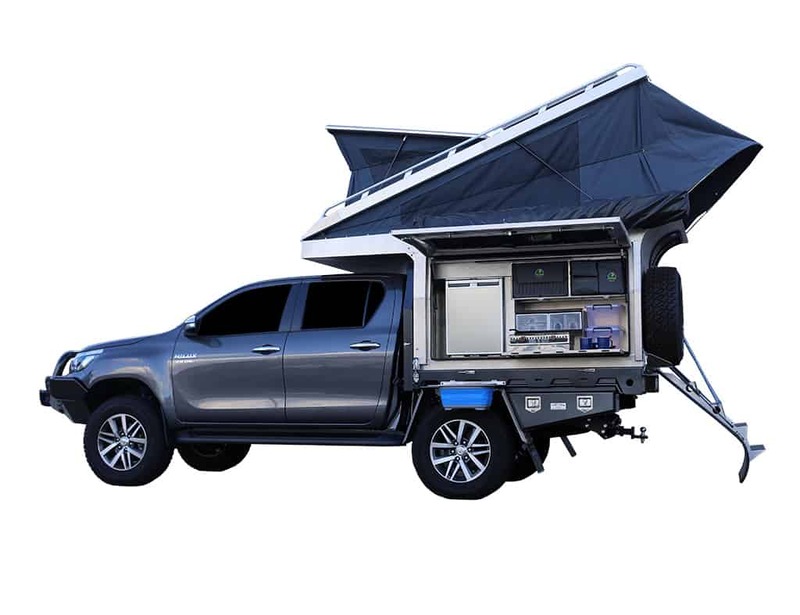 The campers are built around a fully welded structural frame to handle the rugged terrain of your next adventure. 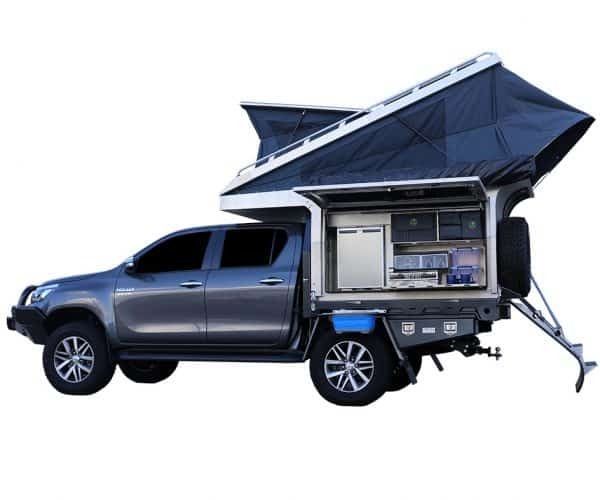 Backed by a 10-year structural warranty and years of testing, these camper will get you to your end destination. 20 Second Setup and 30 Second Pack up.